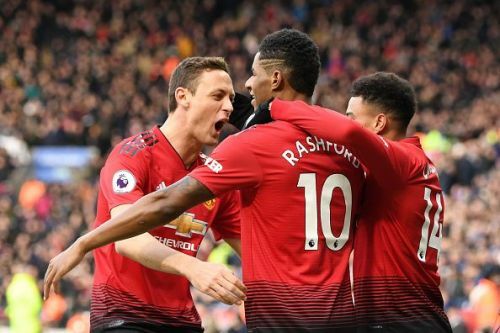 Manchester United increased their unbeaten run under Ole Gunnar Solskjaer as they beat Leicester City 1-0 at the King Power Stadium in their Premier League fixture. The Red Devils were the better side right from the start and got the early lead through Marcus Rashford during the ninth minute of the game. Leicester City created a lot of opportunities to get back into the game in the second half but the Red Devils' defence stood firm and did not let the Foxes take anything away from the game. Manchester United enjoyed 56% of possession during the game, however, it was Leicester who had more shots on goal (17) as compared to United's (10). The Red Devils started the 2018-19 season poorly, which subsequently led to the sacking of the former manager, Jose Mourinho. Former striker Ole Gunnar Solskjaer was appointed as the caretaker manager for the rest of the season, and the Norwegian has done a brilliant job thus far. The Manchester-based club is currently unbeaten in all competitions under him and they moved above Arsenal at fifth with this victory. They will play Fulham in the Premier League next before hosting Paris St. Germain at Old Trafford for the first leg of the Champions League Round-of-16 game. Their primary objective this term is to finish in the Champions League qualification places, but they face tough competition from Chelsea and Arsenal. On the other hand, Leicester City are currently 11th on the Premier League table, 10 points above the relegation zone. They will play Tottenham Hotspur next weekend before hosting Crystal Palace and Brighton and Hove Albion for two successive home games. Football fans reacted to Manchester United's victory on Twitter, and here are some of the best tweets.